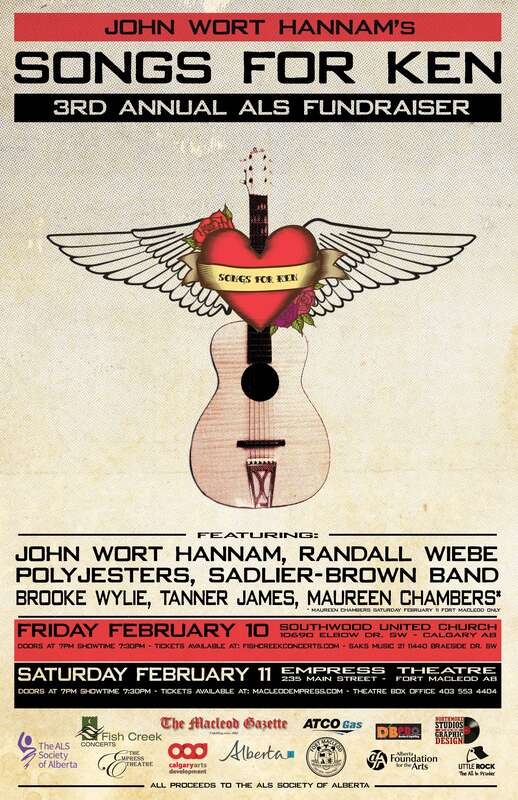 Alberta singer-songwriter John Wort Hannam is gathering together his musical contemporaries The PolyJesters, Brooke Wylie, Tanner James, Maureen Chambers and The Sadlier Brown Band for the third annual Songs for Ken fundraising concert at the Empress Theatre on Saturday, Feb. 11, 2017 at 7:30 p.m. The concert is in memory of John’s lifelong friend Ken Rouleau, who died from ALS, a neurodegenerative disease, in 2012. 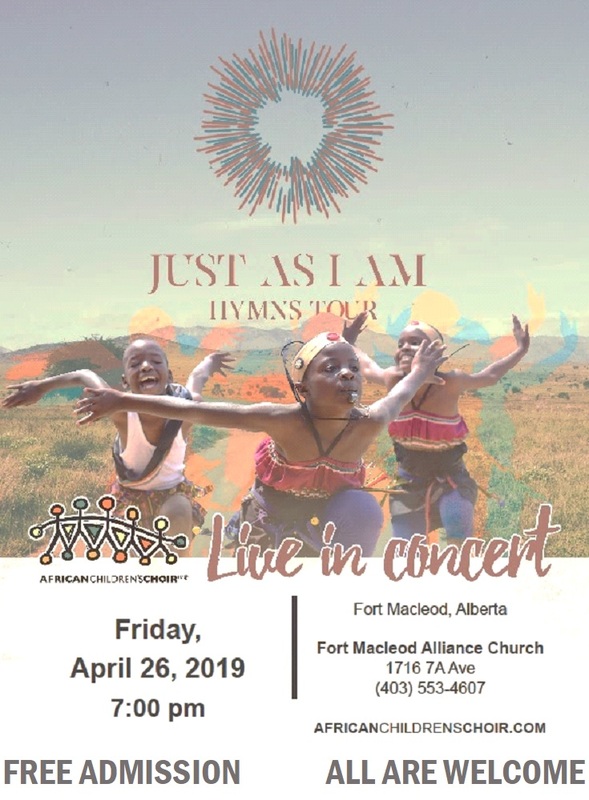 Proceeds from the concert will be donated to the ALS Society of Alberta. Rosebud, AB visual artist Randall Wiebe will again be on hand lending his talents to the cause by painting a portrait of a lucky audience member. Songs for Ken tickets are $25 and available at www.macleodempress.com or by calling 403-553-4404 (toll-free at 1-800-540-9229). John is also presenting a Songs for Ken concert in Calgary at the Southwood United Church (10690 Elbow Drive S.W.) on Feb. 10 at 7:30. Tickets are $25 and available at Saks Music (21, 11440 Braeside Dr. S.W.) or www.fishcreekconcerts.com. John Wort Hannam is a Southern Alberta-based roots musician and singer-songwriter who pens winsome folk tunes. 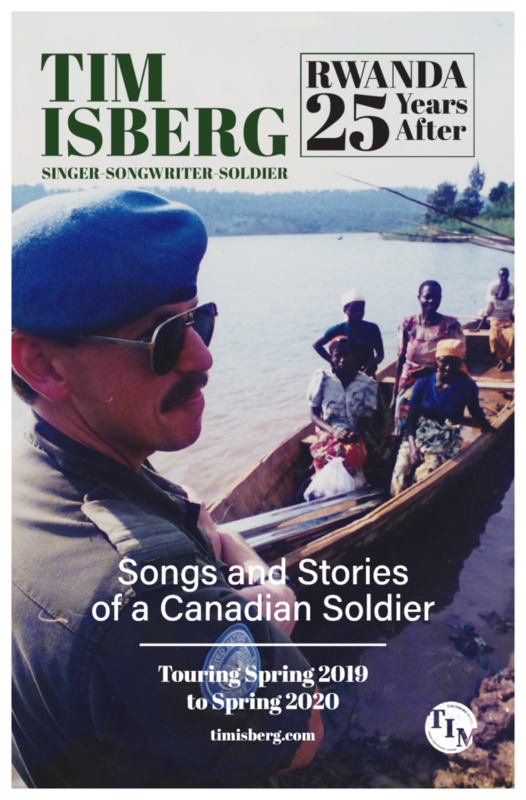 He has released five albums, capturing a Juno nomination for Best Traditional/ Roots album and a Canadian Folk Music Award for Album of the Year. The PolyJesters describe their music as “swingin’ folk”. Whatever you call it, these four funny fellas hailing from Carstairs, Alberta will put a smile on your face with their humorous tunes. Brooke Wylie spent her early musical career developing her own original country/roots sound in Calgary and throughout Southern Alberta. She captivates audiences with her strong and commanding vocal ability and stage banter. Tanner James is a young Canadian folk singer and songwriter who took first place at the Calgary Folk Music Song Contest and was a semi-finalist in the UK Songwriting Contest. His funny and confessional songs tell the stories of the people he’s met and the places he’s been. Maureen Chambers is a well-known Fort Macleod gem, having taught music to hundreds of local school students. She recently released an album with her children called Another One About Flowers and continues, with her husband Trent Moranz, to be deeply involved with the South Country Fair. The Sadlier Brown Band are musical chameleons whose songs range from country two-steps to 50s rockabilly jive, blues, swing, folk and proto-jazz. They mix original songs with covers to create an entertaining, creative show.